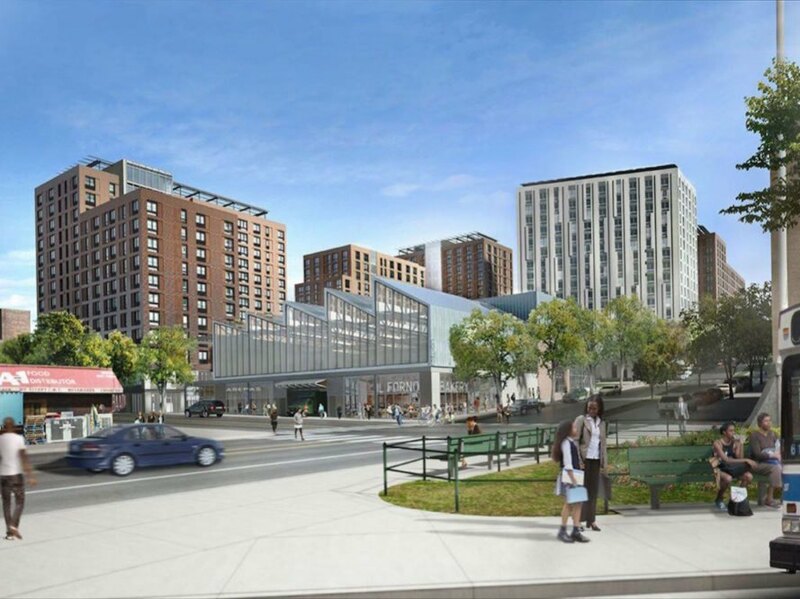 Green spaces, affordable housing, and over 300 jobs are coming to the south Bronx. 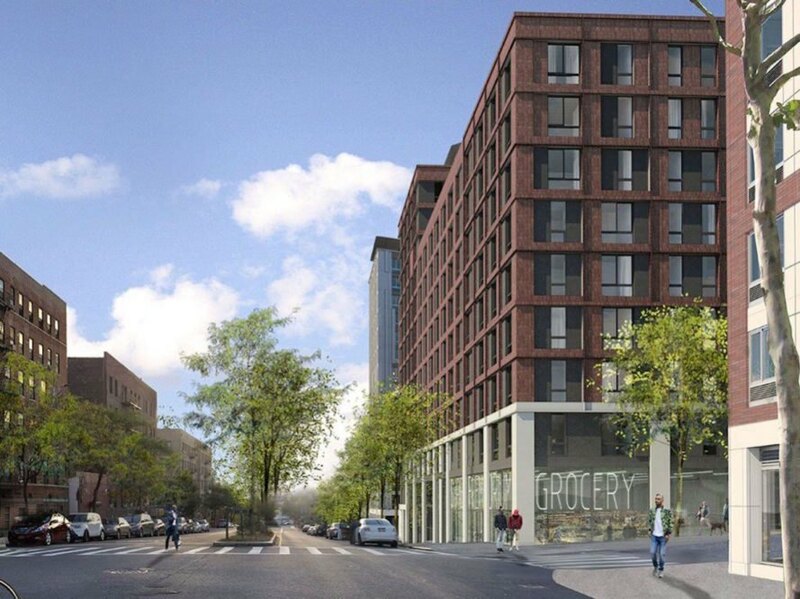 The Peninsula, a mixed-use development designed by WXY architecture + urban design and Body Lawson Associates, just received the City Council go-ahead. Located in the Hunts Points peninsula, the $300 million initiative will transform the former Spofford Juvenile Detention Center into a greenery-filled live-work campus spread out across five acres. First unveiled in 2016, The Peninsula aims to transform the neighborhood with a projected 740 units of 100% affordable housing, 52,000 square feet of publicly accessible open space, and over 300 permanent new jobs. “It’s a big day for justice in the Bronx. 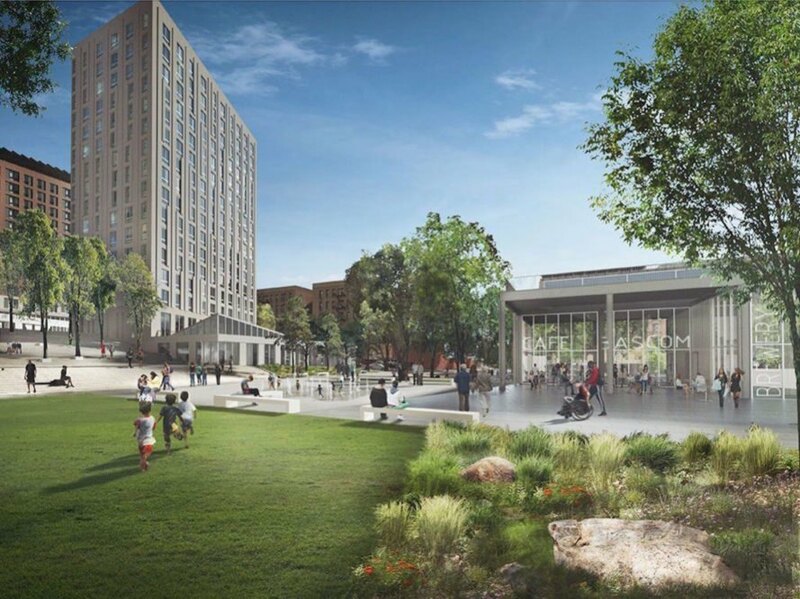 As we move to build more than 700 affordable homes, open space and small businesses in Hunts Point on the site of the old Spofford facility, we are seeing a community rising and the righting of old wrongs,” said Mayor Bill de Blasio. As a mixed-use destination, The Peninsula will also offer 15,000 square feet of commercial space, 50,000 square feet of light industrial space, and 53,500 square feet of community facility space, a quarter of which will be dedicated artist workspaces. Anchored by local businesses, the five-acre campus will comprise five buildings featuring solar panels and green roofs as indicated by renderings. The Peninsula will be constructed in three phases with phase I expected for completion in 2021, phase II to be completed in 2022, and overall completion slated for 2024. First unveiled in 2016, The Peninsula aims to transform the neighborhood with a projected 740 units of 100% affordable housing, 52,000 square feet of publicly accessible open space, and over 300 permanent new jobs. “It’s a big day for justice in the Bronx. 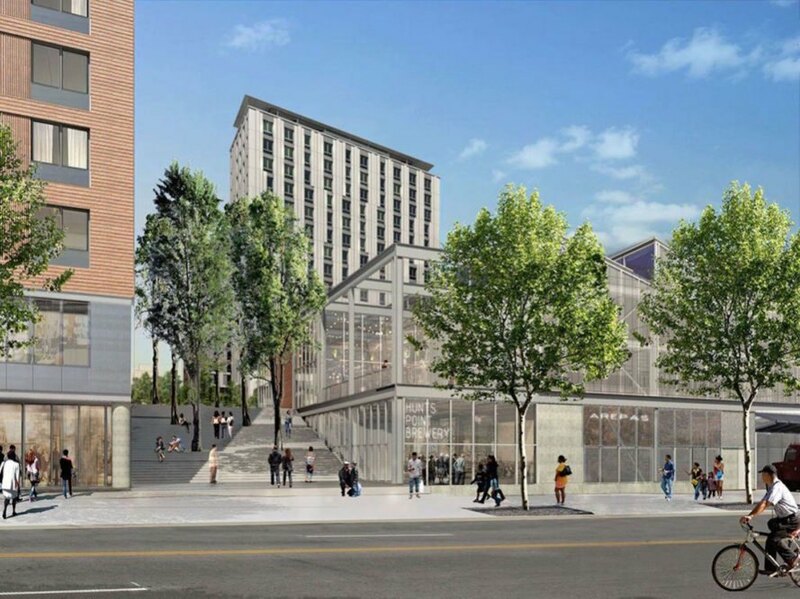 As we move to build more than 700 affordable homes, open space and small businesses in Hunts Point on the site of the old Spofford facility, we are seeing a community rising and the righting of old wrongs,” said Mayor Bill de Blasio. As a mixed-use destination, The Peninsula will also offer 15,000 square feet of commercial space, 50,000 square feet of light industrial space, and 53,500 square feet of community facility space, a quarter of which will be dedicated artist workspaces. Anchored by local businesses, the five-acre campus will comprise five buildings featuring solar panels and green roofs as indicated by renderings. The Peninsula will be constructed in three phases with phase I expected for completion in 2021, phase II to be completed in 2022, and overall completion slated for 2024.